WASHINGTON -- Four automakers agreed to a $553 million settlement to address class-action economic loss claims covering owners of nearly 16 million recalled vehicles with potentially defective Takata airbag inflators, according to court documents filed on Thursday. Toyota's share of the settlement costs is $278.5 million, followed by BMW at $131 million, Mazda at $76 million and Subaru at $68 million. Lawsuits against Honda, Ford and Nissan have not been settled, lawyers said. Takata inflators, which can explode with excessive force and unleash metal shrapnel inside cars and trucks, are blamed for at least 16 deaths and more than 180 injuries worldwide. About 100 million inflators have been recalled worldwide by 19 major automakers, the largest automotive recall ever for a single safety issue. 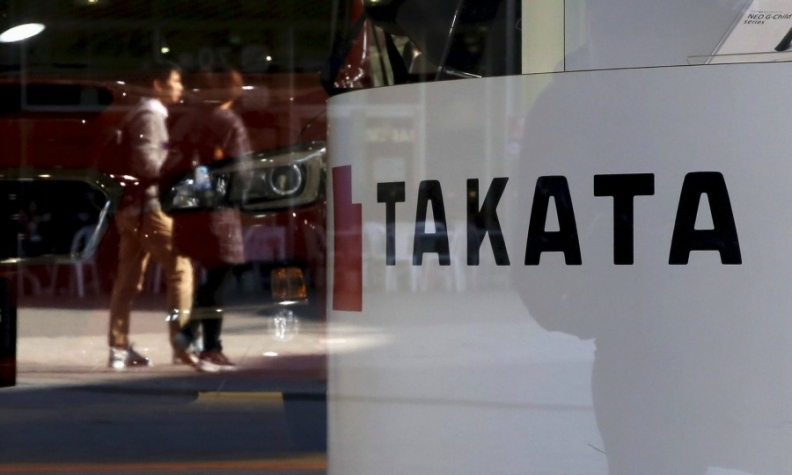 The four automakers said in a joint statement they agreed to settle "given the size, scope and severity of the Takata recall," but did not admit fault or liability. The automakers said the settlements, if approved by a Florida judge, will be overseen by a court-appointed administrator. The settlement includes an outreach program to contact owners; compensation for economic losses including out-of-pocket expenses; a possible residual distribution payment of up to $500; rental cars for some owners; and a customer support program for repairs and adjustments, including an extended warranty. Of the $553 million, automakers will use about $50 million to provide rental cars. Owners getting a recall can be reimbursed for lost wages, transportation and child care costs. In January, Takata agreed to plead guilty to criminal wrongdoing and to pay $1 billion to resolve a federal investigation into its inflators. As part of the settlement, Takata agreed to establish two independently administered restitution funds: one for $850 million to compensate automakers for recalls, and a $125 million fund for individuals injured by its airbags who have not already reached a settlement. The criminal settlement and penalties were set in the U.S., where most of the airbag-related fatalities and injuries have occurred. Takata has been seeking a buyer or financial backer for a year. In late April, trading in Takata shares was suspended after a report that the company was considering a bankruptcy plan. Automakers have recalled 46 million Takata airbag inflators in 29 million U.S. vehicles. By 2019, automakers will recall 64 million to 69 million U.S. inflators in 42 million vehicles, regulators said in December. Most inflators have not been fixed. A spokesman said the court was reviewing a judge's decision to select former FBI director Robert Mueller to oversee the Takata settlement funds. Mueller resigned from his law firm to head the Justice Department's probe into Russian interference in the 2016 election.